Are Your Genes Still Free? Dr D will be busy this fall and may further neglect his blog posts. This next week he begins teaching a weekly genealogy seminar within our continuing care retirement center here in Nashville. 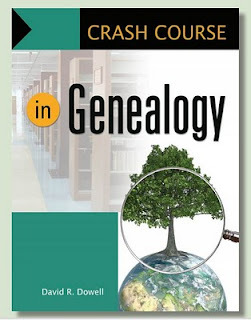 The first 6 sessions will be the Readers Digest condensed version of his 2011 Crash Course in Genealogy. In subsequent weeks we will tour Europe looking for the footprints of ancestors. Going to Europe: European research will be frustrating unless you have already discovered the town and/or parish of your ancestors’ origin, but you are welcome to go along for the ride. In addition, Dr D will be on the other side of the lectern as a student at the Osher Lifelong Learning Institute (OLLI) at Vanderbilt University taking the course Science Behind the Medicine and Medical Advances. Retirement is not for sissies! Last week the genetic gods must have been smiling on bloggers -- at least a couple of us. Judy Russell reported in her The Legal Genealogist blog that she had discovered her first "known relationship" through 23andMe. As you may know a match of this size is consistent with a second cousin match but it is also consistent with a first cousin -- twice removed. 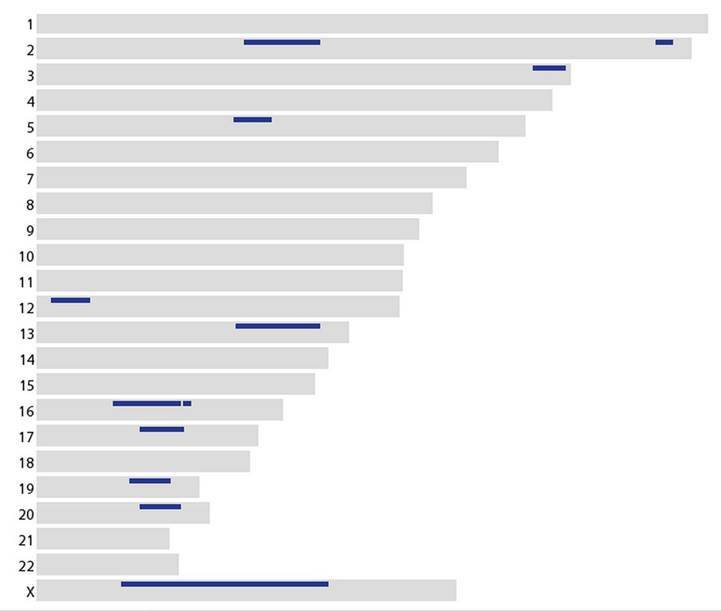 There is a significant match on chromosome X. Why is that significant some of you may ask? If you were paying attention above, I told you that the unknown potential second cousin was male. That means he inherited his entire X chromosome from his mother. Therefore, his match with my daughter-in-law must be on his mother's side of his family tree. This cuts in half the number of branches of his tree we had to consider. It did not reduce the amount of my daughter-in-law's tree we had to examine. She had inherited one X chromosome from her mother; but she had also inherited one from her father as well. So I sent a list of her 8 great-grandparents to the wife of her match who was the family genealogist. The wife responded, "It's Homer and Hilda". Mystery solved! His mother and the mother of my daughter-in-law are 1st cousins. I've had a few other successes at 23andMe but none this easy to achieve. When I first blogged about Henrietta Lacks a couple of years ago, I titled the blog "Right to Own Our Own Bodies". I'm on the road in Salt Lake City attending the Federation of Eastern European Family History Societies conference so this update post will be briefer than normal. However, this morning's news certainly warrants attention. "Under the agreement, two family members will sit on a six-member committee that will regulate access to the genetic code. "The main issue was the privacy concern and what information in the future might be revealed," David Lacks Jr., grandson of Henrietta Lacks, said at a news conference. Jeri Lacks Whye, a granddaughter who lives in Baltimore, said: "In the past, the Lacks family has been left in the dark" about research stemming from HeLa cells. Now, "we are excited to be part of the important HeLa science to come." Behind the scenes negotiations have been underway since March to reach this landmark arrangement. This follows on the heels of the Supreme Court decision in the Myriad Genomics case earlier this summer. Finally some humanity is being used to guide this exploding new technology! It gets murkier and murkier. The day after the Supreme Court ruled that natural human genes could not be patented, Gene by Gene [and perhaps Ambry Genetics] started offering BRCA1 and BRCA2 testing for $999. Myriad Genomics had been offering it for about $4,000. Great news for womankind. But now Myriad has sued. “If [Ambry and Gene by Gene] are proved wrong, and I think they will be, it will be at the expense of women who want to be tested,” Gold said. “It’s legal, but not ethical.” For Professor Gold's comment in context read the full story in Wednesday's The Daily Pennsylvanian. Although that expression cannot be free (as in no cost); it should not be restricted from most women because of artificially high pricing. I at least partly agree with Professor Gold. I am not a patent lawyer. I am also not a geneticist. Therefore, I do not claim to understand all the legal and biological intricacies of this current law suit. I don't have an opinion as to whether of not patent law gives Myriad a legal leg to stand on. However, I strongly believe that Myriad's position is not ethical. Not many women can draw on the financial resources Angelina Jolie could draw on when she had to make a potentially life or death decision. However, they still need access to the most relevant information their body can give them before they make that decision. Disclosure: I am an unpaid volunteer manager for two surname DNA projects hosted at Family Tree DNA (FTDNA). FTDNA is a subsidiary of Gene by Gene. 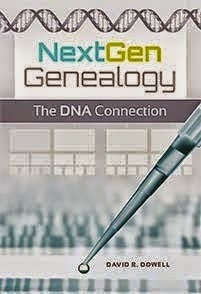 FTDNA is one of four genetic genealogy labs through which I have tested my own DNA. I have no financial interest in any of these companies.